A simple way to think about your 1040 tax return is focusing on a single line, your Adjusted Gross Income (AGI). Anything “above the line” creates an AGI that can yield tax opportunities or tax consequences for anything “below the line.” Being aware of “the line” and the impact it has on your tax return can help you make better tax decisions throughout the year. Understand the line. When you hear “the line,” it’s referring to both the last line on page one and the first line on page two of your 1040 tax return. The AGI line is made up of W-2 wages, tips, and other income; interest and dividends; capital gains/losses; alimony; pensions, annuities, and social security income; and business activity profits and losses. It also includes a number of miscellaneous items that can reduce your AGI such as educator expense, moving expense, student loan interest, and alimony paid. The list of things that impact AGI can be lengthy. What is important, however, is understanding that this single line has a tremendous impact on what your final tax bill will be. It’s also important to consider below the line impact. Phase outs. If your AGI is too high, you could be in for an unpleasant tax surprise because so many of your “below the line” tax benefits can be phased out. This could include losing up to 80% of your itemized deductions, all of your exemptions, and access to most credits. Alternative minimum tax. A high AGI can subject your tax return to a below the line calculation using an alternative tax table. Marginal tax. Your AGI can subject some of your income to higher tax rates up to 39.6%. Understanding the importance of “the line” on your tax return can help clarify suggested tax planning actions. How much can you add to your AGI and still be subject to a lower tax rate? 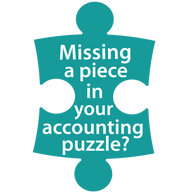 Does an increase in your AGI phase out other tax benefits? While you can analyze the numbers yourself, consider contacting us to assist you in understanding how your above the line decisions might change your below the line tax implications.